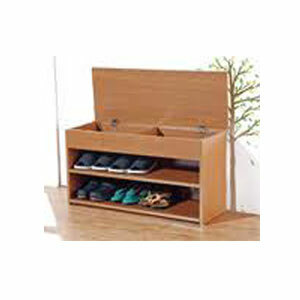 Light Cherry Finish Shoe Cabinet Bench. Lots of storage space. Can be used as an entrance way bench. Strong construction. Easy to assemble. Size: 31-1/2 In. x 11-7/10 In. x 16-3/10 In. (H).